As I’ve hinted at elsewhere, there’s a good chance that we’ll exceed the income limit for Roth IRA contributions this year. Thus, we’ve been looking into other options for retirement savings in 2007. Inadvertently overpaid into our Roth’s…is the 6% penalty carried over to next year (when we would not contribute until we are sure we are under the limit)?? Or is it only for this year? You can reverse the contribution – it’s called a re-characterization. Just contact the company with whom you hold the Roth and let them know the situation and they can help you, so you can avoid the 6% penalty; looks like you have to pay a penalty on the earnings, though. Not sure if you convert to a regular IRA if the penalty on earnings applies. I would contact the broker or mutual fund company. You just have to make the adjustment before your tax filing deadline. I just had my taxes done and my MAGI is over the limit for 2007. 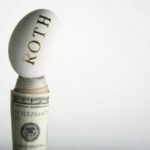 We maxed out both of our Roth IRA’s and now I don’t know what I can or should do. MAGI is $173 and I believe the max is 166k. Can I pay the 6% on the $8000 and leave it in? I guess I don’t fully understand how this “excess” works since I believe I am in the category of “You should not have contributed anything into the Roth IRA”….AHHHH!!!!! H.B. – I was also told it is line 37. What line on the 1040 is MAGI? line 37? Using this line, I am over the 2007 contribution limit. My problem is that TTAX allows me to throw in about $3400 for both me and my wife before starting to knock down my tax rebate. Doesn’t this mean TTAX is making a mistake, OR, I am looking at the wrong line on the 1040? When opening a Roth IRA for a student, do we use her net or gross income? And what, if any, are the tax consequences of starting a Roth IRA by a student entering college? Carl, see here. In short, you can recharacterize your contributions, but the earnings will be subject to a penalty. What if you contribute $4K to a ROTH and then discover that you’re over the MAGI limit? Like you get a big capital gain or bonus that you weren’t expecting. I understand the phase-out method, but the Roth $4K isn’t even on my return as a deduction or adjustment that could be phased-out. I can’t really just say “do over” & withdraw it from my ROTH so what is the penalty? Yes, assuming that the taxes laws remain unchanged, the income limits for converting are set to go away in 2010. Thus, you can effectively circumvent the contribution limits by contributing now to a non-deductible IRA and then converting in 2010. You will owe taxes on the earnings, but not on the original contributions. But again, this depends on Congress not changing the law or closing the loophole so you’re rolling the dice. We also don’t qualify for Roth IRA but I read somewhere that if we contribute to a regular IRA in 2010 we will be able to convert our regular IRA to a Roth IRA as the law that limits Roth IRA to certain incomes expires in 2010. Anyone know anything about this? Have you ever looked offshore for tax benefits? I have only considered offshore as a tax shelter but would love to hear your thoughts/have you done this? OK, if you don’t want to discuss on your site please visit mine and send me an email. I live in Ohio and we get whammied because we must file our Ohio state taxes the same way we file federally. For us, our tax bill is lower when we file separately, but that puts our contribution limit for a Roth IRA at $0-$10k. So in order to qualify for a Roth, we file married and pay the extra tax. We figure the tax break on all those earnings will be worth it during retirement. I think Ohio is the only state that does this.